A biography of a constructed language and the dream of world harmony it sought to realize. Schor’s account of Zamenhof’s dreams and disappointments, including the religious ideas that he — and he alone — saw as essential to Esperanto’s mission, turns into an increasingly anecdotal survey of the language and its culture in the century since Zamenhof’s death ... Schor is less assured as a memoirist than as a scholar...This is, however, a minor quibble. In portraying a language condemned by both Hitler and Stalin, then used by the American military as the language of the pseudo-Communist 'Aggressor' in a lengthy series of Cold War maneuvers, Bridge of Words leaves us in no doubt that whatever Esperanto might be doing, it seems to be doing it right. Schor’s book alternates evenly between a history of the language and her own personal history, as she attends Esperanto conferences and moves deeper into an understanding of the language and its speakers. 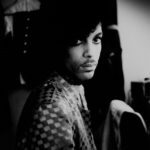 And although she is undeniably a powerful and scrupulously thoughtful writer both of intellectual and private history, the balance ends up feeling like an unfortunate choice. The sections in the past are for the most part much more interesting than those in the present ... Schor herself has complex goals, and her book—as ambitious, soulful, intellectually hefty, and yet occasionally naïve as the project it describes—sometimes gets tangled in them. [Schor] is faithful to Zamenhof, to the idea that Esperanto is not so much a language as the bearer of an idea. To absorb the idea, she says, one must subscribe to the journals and go to the conferences...But it’s not easy to figure out how she feels, or to what extent she is actually affiliating ... [Schor] starts unloading personal matters: how her interest in Esperanto coincided with a life crisis...Like the conference diaries, this material feels like something she decided to give us when she suspected that we’d be missing Zamenhof. But she pulls herself together and ends on a strong, high note, taking on a number of what she calls myths about Esperanto. 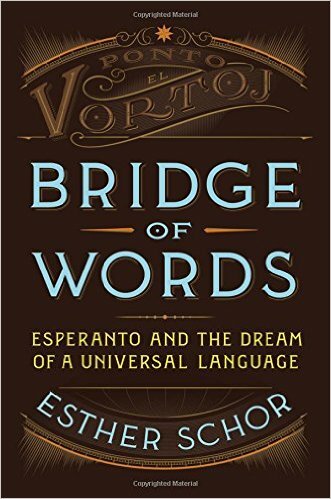 What did you think of Bridge of Words: Esperanto and the Dream of a Universal Language?